Dear Family and Friends, it is that time of year again! Please help us reach our goal! As many of you already know, our beautiful daughter tragically drowned on the Clackamas River July 5th 2013. In her honor and in hopes to save more lives we have created "Meg Moment's For Life Jackets " giveaway. 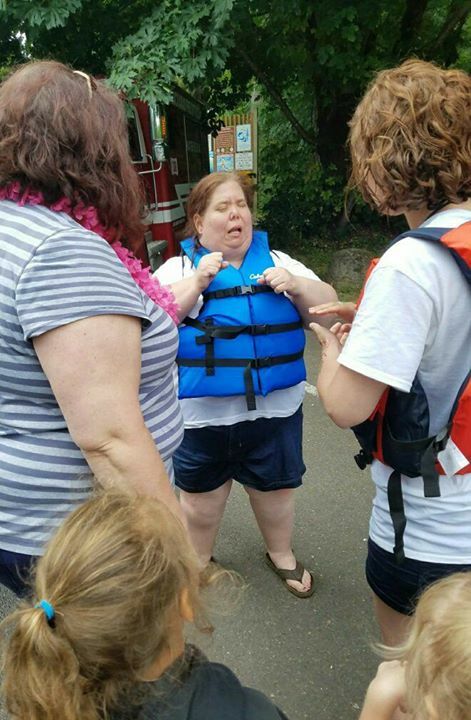 Every year at Barton Park on the Clackamas River, we are giving away life jackets. 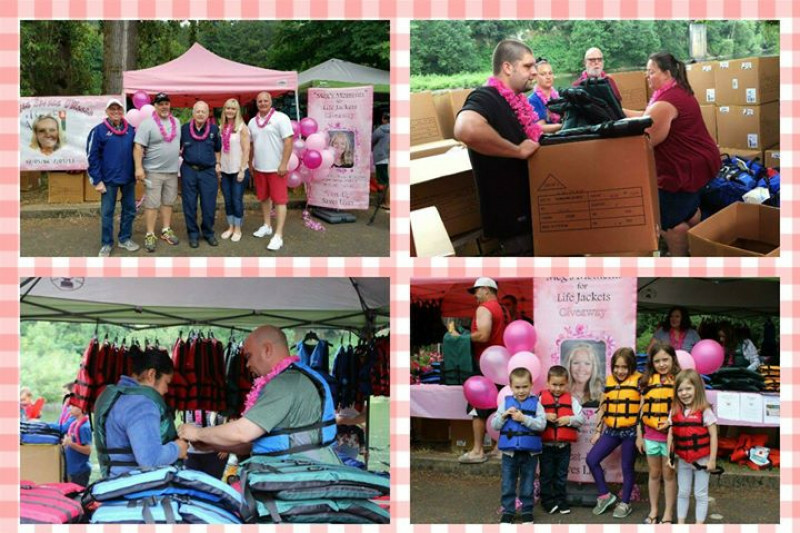 Last year we surpassed our goal by giving out more than 700 life jackets. Please help us save more lives by donating to our cause. We really are making a difference! This year save the date of July 7th 2018 for this special event. Our presence is super important as many of these rafters come without life jackets. 2017 was a successful year with our life jackets saving a hearing impaired woman and a group of rafters, both who had experienced trouble with their floating devices on the river. We have started a "Go Fund Me" account again this year and will be passing it along on FB. Please join us in saving more lives so no other family has to go through this terrible tragedy. Thank you to all who have donated in the past as it truly is saving lives... "Vest Up"!!! Vest-Up 2018 is underway and we need your support to save lives. Please help us meet our goals of purchasing 1,000 life jackets for 2018. 2017 we raised enough money to purchase 700 life jackets and witnessed a hearing impaired woman being saved by one we had given to her just a few minutes earlier. We need your donations to make this happen. Any donation is appreciated!